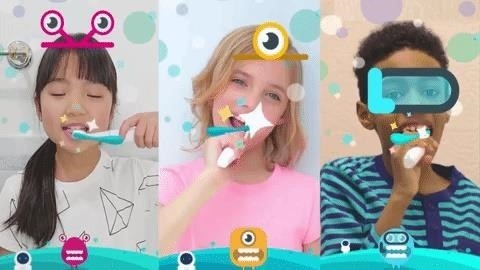 Kitten Planet, a spin-off company that grew up in Samsung's C-Lab incubator, has developed a connected toothbrush that teaches and motivates children to brush their teeth better via augmented reality while tracking their performance. 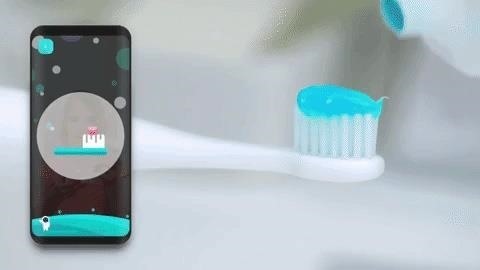 Called Brush Monster, the $49 toothbrush connects to smartphones and tablets via Bluetooth, with the augmented reality experience delivered through the companion app for iOS and Android. Using an array of sensors built into the toothbrush, Brush Monster can track the location and movement of children as they work through their brushing routine. This data is used to coach kids on where to brush better (well-brushed areas are reflected in white, while neglected areas appear as yellow). The app also generates reports that shows parents where their kids may need help. At the same time, animated characters make the experience more entertaining for children and front-facing camera effects jumpstart their budding social media proclivities. The AR effects change daily so the experience doesn't get stale. "At some point, every young parent struggles to get their child to brush his or her teeth. As a group of fathers ourselves, we wanted to address this issue head on by creating a product that makes brushing a highly dynamic, engaging and fun process," said Jongho Choi, the co-founder and CEO of Kitten Planet, in a statement provided to Next Reality. The company reports that more than 10,000 users have beta-tested the app, with one of every three monthly users using the app daily. "Utilizing augmented reality technology, Brush Monster walks kids through the entire brushing process in an entertaining, step-by-step manner that is highly satisfying," said Choi, whose company was selected to join C-Lab in Jan. 2016 and subsequently spun off in April of that year. "This ultimately does more than encourage a healthy and necessary habit, it fosters independence and confidence at an extremely important stage of childhood development." While Kitten Planet demonstrated its technology at CES 2018, the company will also launch a crowdfunding campaign for Brush Monster on Kickstarter on Tuesday, with the device slated to ship in July 2018 (the product launched in South Korea in March). But the company isn't alone in the augmented reality toothbrush game. 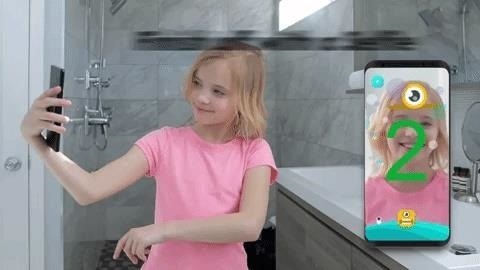 Also at CES 2018, Kolibree introduced Magik, which also uses augmented reality to make brushing more fun. However, rather than connectivity, Magik uses computer vision to track brushing habits (it also isn't available yet). If there's room on store shelves for Crest and Colgate, certainly the market can support two AR toothbrushes.